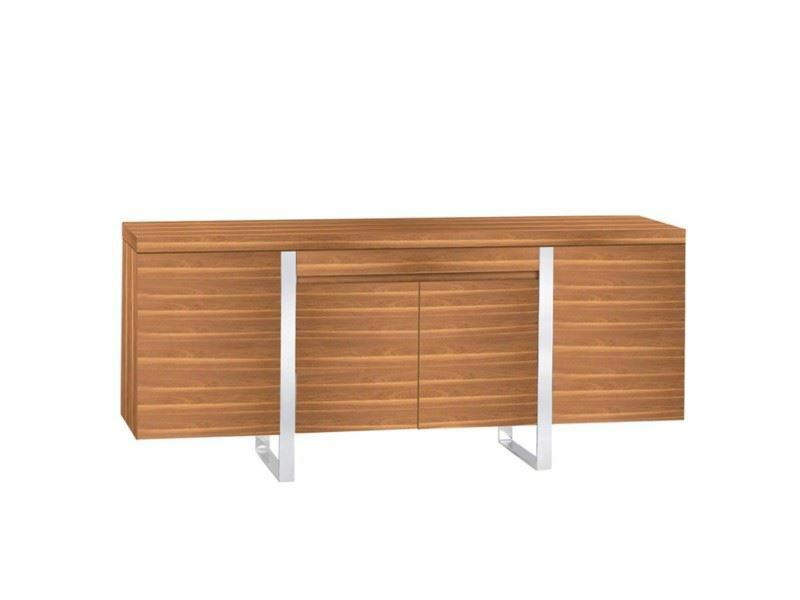 Crafted in beautiful natural walnut with front reveals in polished stainless steel. A top center pullout drawer provides convenient organization for cutlery. The two outer large doors open to reveal center mounted interior glass shelf. The two inner doors open to reveal a wide span center mounted glass shelf. Materials: Stainless Steel. Tempered Glass. Natural Walnut. 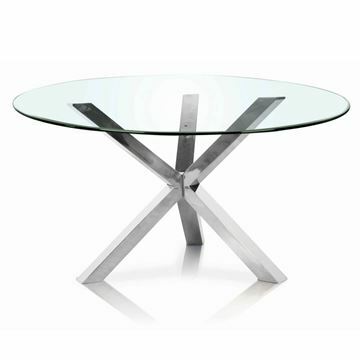 The Gatsby Dining Table by Bellini Modern, features an open and airy steel and marble base. 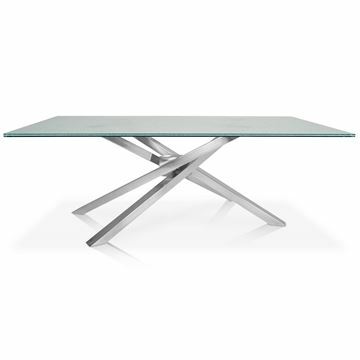 The steel construction makes for a solid foundation that a 12mm thick smoked glass top rests upon. 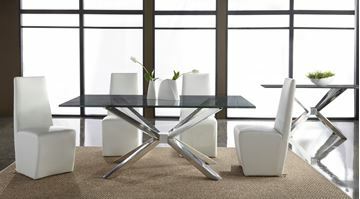 The Esse Dining Table, made in Italy by Bellini Modern Living. A unique intertwined base features one leg gently crossing another. 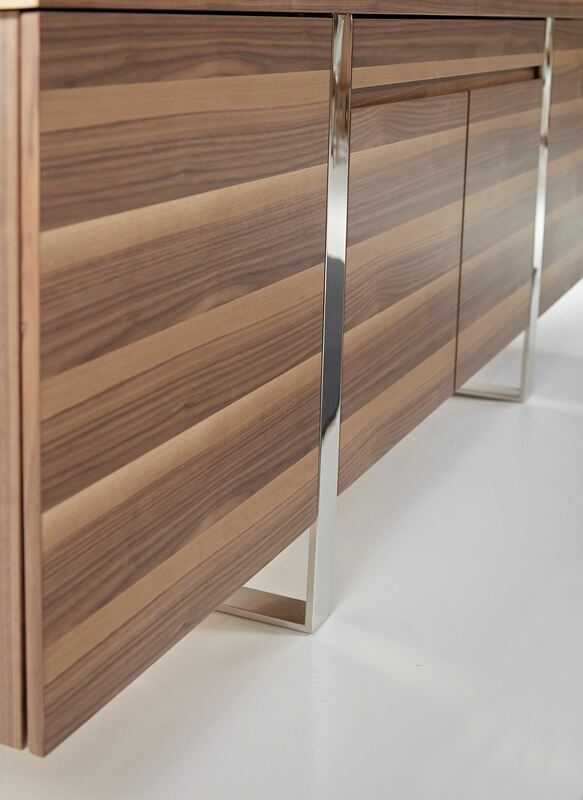 The subtle two tone base is achieved using powder coated finishes in bronze and titanium colors. 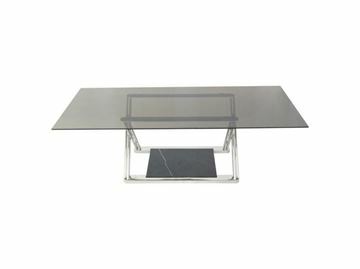 The clear glass top features a unique bevel edge. The Esse dining table displays a unique homage to clean mid-century design. Crafted with a solid Ash Wood top and anthracite finished base. The Elio Dining table by Bellini Modern is a stunning design, showing simple and clean lines with a robust solid ash top. Made in Italy. We particularly love the open structure of the base, which allows guests plenty of leg and foot room to stretch out and relax during dinner. 100% made in Italy.